It was reported that Beall and his well trained extortionists contacted the Open Access publishers in advance and demanded a lump sum payment. Furthermore, they threatened that if Open Access journals and Publishers failed to pay extortion money those Journals and publishers would be listed on his list. If any journal or publisher did not obey Beall’s extortive demands it would be listed on his so called “Beall’s list”. This common tactic continues and large numbers of Open Access Journals are being scammed. 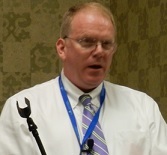 Many Open Access Journals and Publishers contacted us and launched their complaints against Jeffrey Beall. We are hoping to bring this matter forward into public attention as Beall’s malicious attempts must not be tolerated further. We continually expose the Beall conspiracy against the Open Access journals.